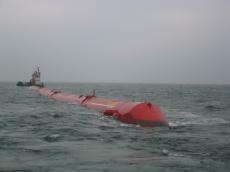 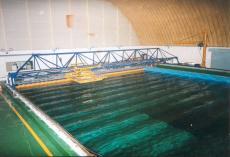 Edinburgh Designs Ltd has its roots in the Wave Power Group at the University of Edinburgh in the late 1970′s where the first force-absorbing wide tank was created to test Stephen Salter’s Duck wave power generator. 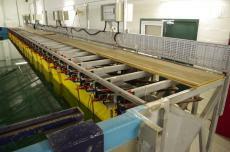 Since the company was formed in 1987, over 1300 paddles have been installed in 19 different countries. 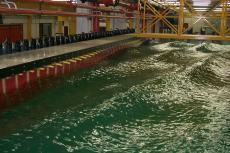 Professor Stephen Salter and his team at The University of Edinburgh build the first multi-paddle absorbing wave tank for testing the ‘Duck’ renewable device prototype. 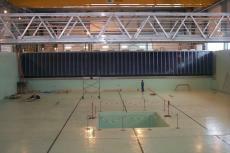 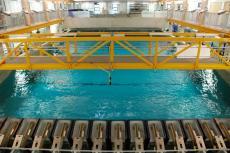 0.6 x 0,6 x 8m flow tank and 56 paddle 20m by 15m by 1.5m deep tank for Imperial College, London, UK. 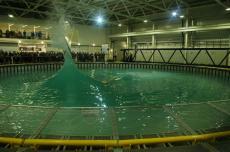 Edinburgh Designs wins the contract to create a state of the art multi-facility marine testing centre at Plymouth University. 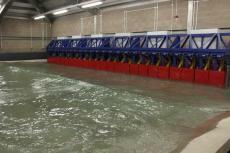 The first 360 degree wave and current generator is designed for The University of Edinburgh. 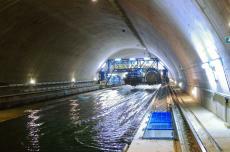 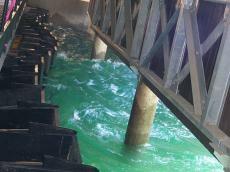 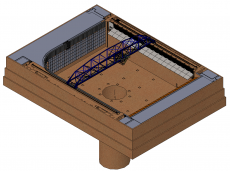 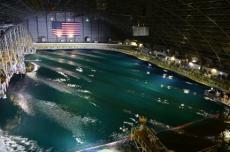 Edinburgh Designs commissions the world's largest wave basin for the US Navy: the 216 paddle MASK basin. 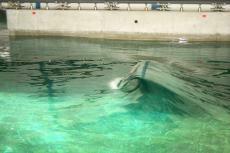 The first circular wave and current test tank, designed and built by Edinburgh Designs, opens at the University of Edinburgh. 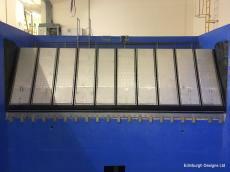 A novel force feedback, long stroke, absorbing piston machine was built at Stonybrook University. 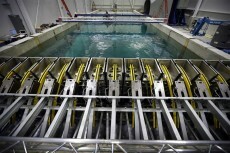 First Chinese machine at Tsinghua Graduate University. 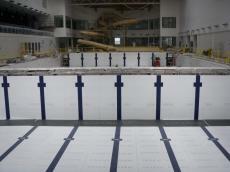 Significant progress is made on the NUS DOBS project. 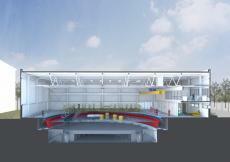 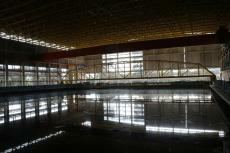 In October, ED take temporary occupation of the building for the mechanical fit out.